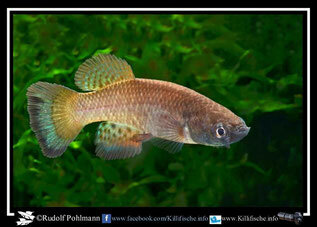 A new Genus of Funduline Cyprinodont Fishes from the Orinico Basin, Venezuela. Proc. Biol. Soc. Wash., 45: 159. 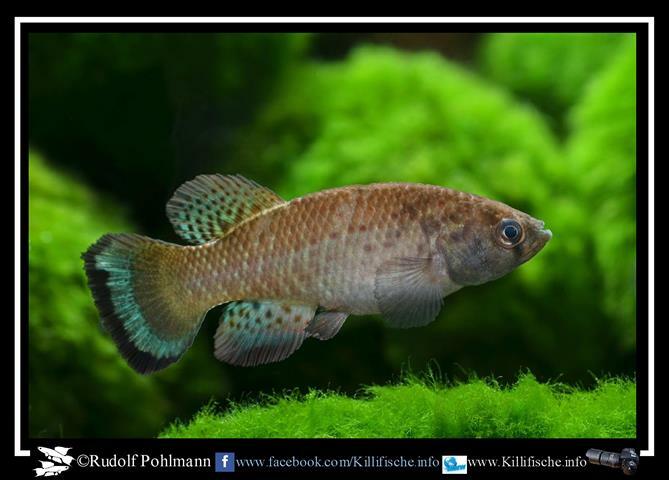 Type-species: Austrofundulus transilis Myers, 1932. DISTRIBUTION: Austrofundulus Range: limited, in northern Colombia, northern Venezuela, western Guiana (along lake Maracaibo and in the lower Orinoco basin). 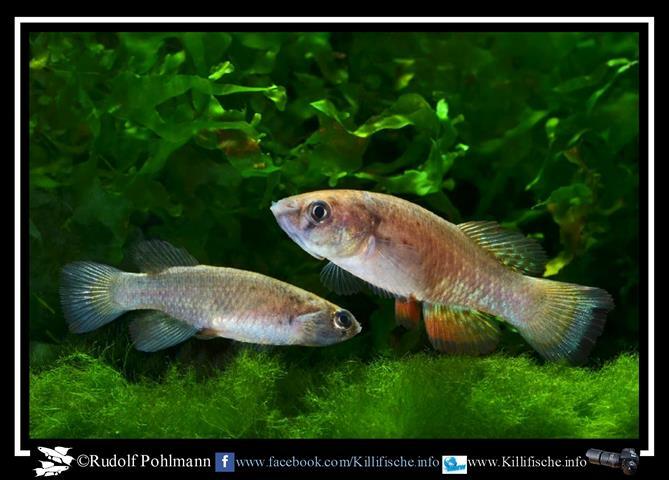 A new Genus of Funduline Cyprinodont Fishes from the Orinico Basin, Venezuela. Proc. Biol. Soc. Wash., 45: 160. Type locality: Guarico State (without details), Orinoco system, Venezuela. Molecular Phylogeny of Austrofundulus Myers (Cyprinodontiformes: Rivulidae), with Revision of the Genus and the Description of four new species. Zootaxa, 825: 15, figs. 7-8. Type locality: Arapari area on Louis Orella's Manari Ranch, 9th District, approximately 4 miles (6 kms) due west of ranch house, (southern) Guyana (ex-British Guiana). Los Peces del Rio Sinu, informe preliminar. Monteria, Columbia. Secretaria de Agricultura y Ganaderia de Cordoba: 30. Type locality: Sincelejo, northern Colombia. A further Contribution to the Ichthyology of Venezuela. Proc. U.S. Nat. Mus., 99 (3235): 85, fig. 10. Type locality: lower río Cocuiza, 15 km west of San Félix, at western border of Falcón state, Venezuela. Molecular Phylogeny of Austrofundulus Myers (Cyprinodontiformes: Rivulidae), with Revision of the Genus and the Description of four new species. Zootaxa, 825: 25, figs. 12-13. Type locality: approximately 5 km from the junction of the road to Machiques between Macoa and Río Yasa, (northwestern) Venezuela. 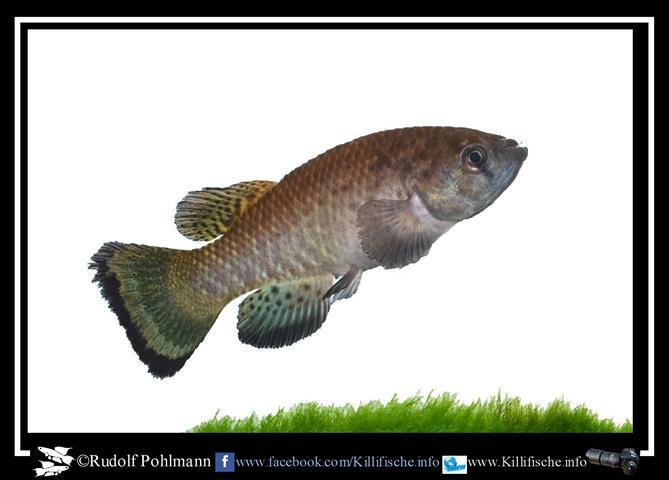 Molecular Phylogeny of Austrofundulus Myers (Cyprinodontiformes: Rivulidae), with Revision of the Genus and the Description of four new species. Zootaxa, 825: 19, fig. Type locality: 4 km north of Sanare on the road to San Juan de Los Cayos, (northern) Venezuela. Molecular Phylogeny of Austrofundulus Myers (Cyprinodontiformes: Rivulidae), with Revision of the Genus and the Description of four new species. Zootaxa, 825: 28. Type locality: 34 km west of Maicao, on road to Río Hacha, (northeastern) Colombia.